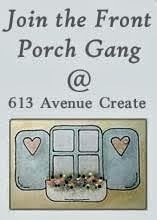 It's challenge day at 613 Avenue Create. This is challenge #114 and the theme as always is Anything Goes with the optional twist use Aquamarine colour in your project. I made a card for a friend of mine that has just had a baby. 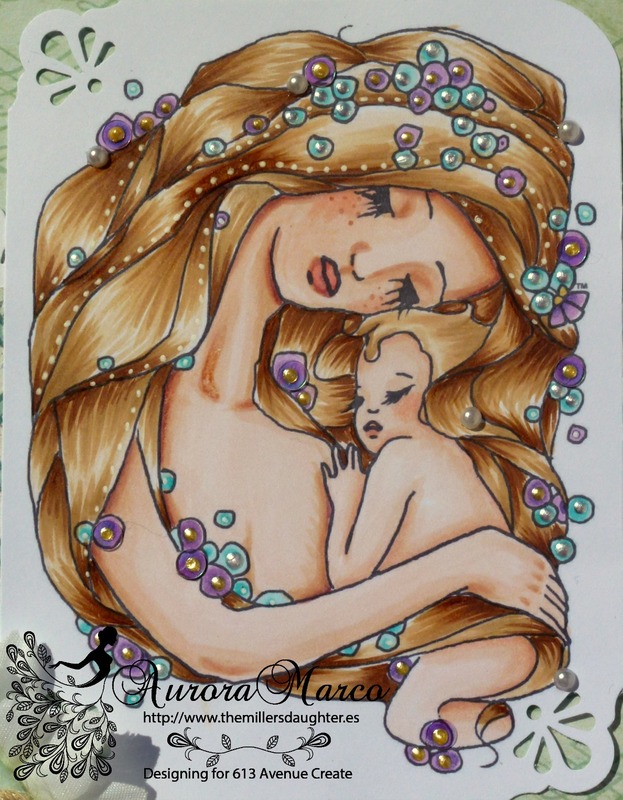 I love this sweet image, Mama Snuggle by A Day for Daisies. In this card: Paterned Papers from MME, white and craft card, fabric flower, button, sting, liquid pearls, flat back pearl and sequins. Gorgeous! You've colored the image beautifully and I love the details! Thanks for sharing and joining us at Inspiration Destination. Hope to see you again and good luck! What lovely colouring on the sweet image.Such a pretty card and colours.Thanks for joining us at Craft Your Passion.Hope to see again next week. Fabulous!! A stunning card - love the print behind the punched circles & your use of liquid pearls! MMmmmmmm... delicious! Wonderful!!! Gorgeous image and love the use of the liquid pearls and the pretty papers. Precious card for any mother to be have...Thanks for joining Brown Sugar Challenge! Lovely card, very good coloring.